I like the new GS but love my new Rose Gold Credor better. I’ll try to get some better shots including the backside soon . Took this before my morning coffee kicked in. Great watch and great shot. Simple yet elegant. 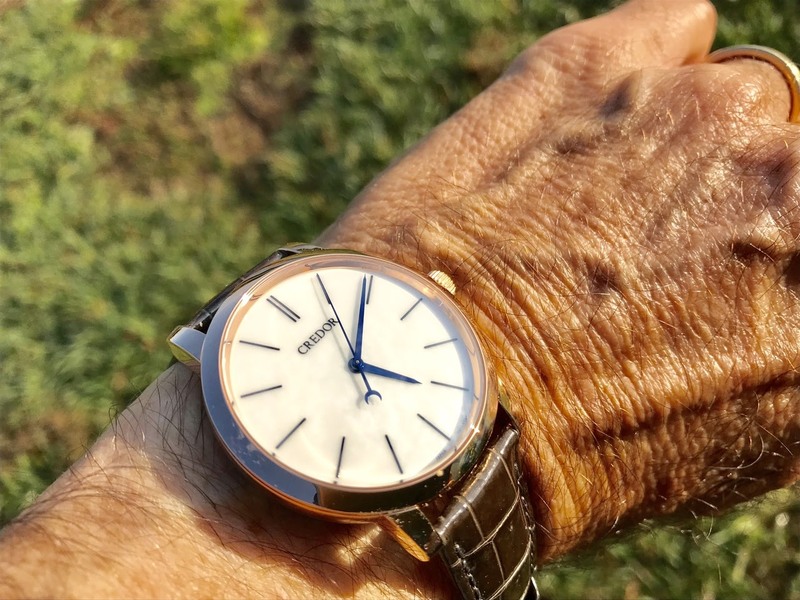 Please share more impressions of your credor, plus movement pics! Thanks, looking forward to more! What made you go with rose gold rather than the platinum version you saw? What do you think of the movement finishing compared to other watches at that sort of level (KV, etc.)? A fine piece of art in the form of a watch! And very practical cause it can tell time. I love the eichi II!!! Congrats! RG is a great piece due to the warmer tones and is a different piece from the platinum. I think the platinum oozes a stricter feeling of minimalism which was the original intent. That being said, the RG is a fantastic piece. between GS and Credor, in my view. Credor is GS at its highest level. Actually the dial is Porcelain which gives it a really special sheen. The hand painted indices look 3D on the dial. I am still smitten with this watch.